Advanced Persistent Threats (APTs) are a highly sophisticated type of cyber attack usually aimed at large and powerful organisations. Human expert knowledge, coded as rules, can be used to detect these attacks when they attempt to extract information of their victim hidden within normal http traffic. Often, experts base their decisions on anomaly detection techniques, working under the hypothesis that APTs generate traffic that differs from normal traffic. In this work we aim at developing classifiers that can help human experts to find APTs. We first define an anomaly score metric to select the most anomalous subset of traffic data; then the human expert labels the instances within this set; finally we train a classifier using both labelled and unlabelled data. 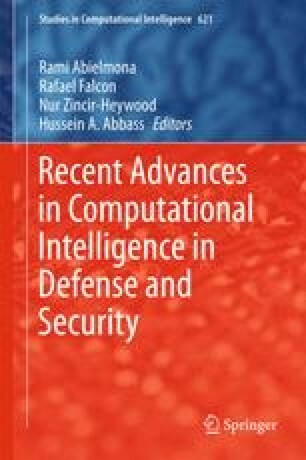 Three computational intelligence methods were employed to train classifiers, namely genetic programming, decision trees and support vector machines. The results show their potential in the fight against APTs. FBR was partially funded with a Torres Quevedo grant from the Ministry of Economy and Competitiveness.